Smartphone makers are betting on 5G to give their sales a boost. The smartphone market in the developed world has matured to the point where any growth is borderline surprising. 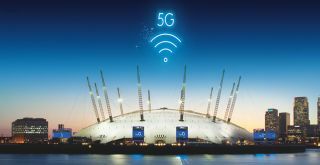 With that in mind, phone manufacturers are hoping the upcoming 5G technology might turn things around and breathe new life into their businesses in these markets. This is according to a new report from CCS Insight. It says that smartphone growth in the Western world is 0.2 per cent. The developing world, mostly Africa, as well as parts of Asia, is where most smartphone manufacturers are currently looking for growth. However, 5G is just around the corner, and the report says smartphone manufacturers will look to use this technology to fuel future growth. "Consumers in mature markets have been underwhelmed by the latest crop of flagship smartphones. Price hikes for top-end devices, with some of the latest and greatest devices hitting $1,000 or €1,000, have certainly not helped, and it's little surprise more customers have decided they might as well stick with the device they already own,” commented Marina Koytcheva, CCS Insight's VP, Forecasting. "The arrival of 5G handsets offers a glimmer of hope for embattled smartphone makers. They're betting that this new, faster technology will give consumers a reason to upgrade their phones". The phones are expected to start hitting the market next year, although it was said in the report that significant demand won’t begin before 2021.